Known for bringing the breakbeat flavour to dancefloors across the world Matt Analogue aka Analogue People has bee pushing the sound for well over a decade now. 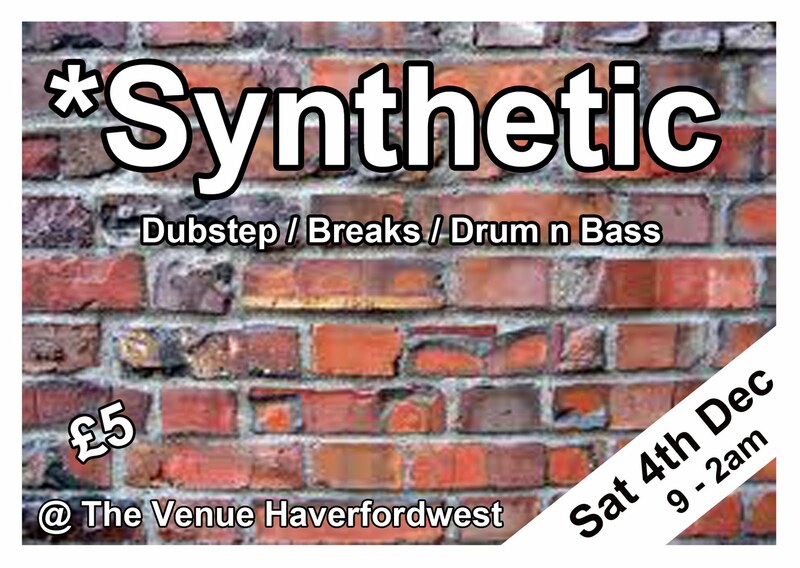 Currently based in Haverfordwest, here he talks about his radio shows on NSB and Nubreaks and gives us all an insight into his plans for future events. those who might not know your work. AP: I'm Matt from Analogue People. Ive been djing and promoting events now for some 15 years now. I've djed all over the UK in venues such as Ministry of Sound and seOne as well as various International gigs. I used to promote a night in Carmarthen called "Resonance" and I believe we were the first people in Carmarthen's history to bring a london headliner down... which was FREQ NASTY - it was rammed and an absolutly great night (I agree ~HJ). I also used to be the co manager of NSB Radio (www.nuskoolbreaks.co.uk) which now holds the International Breakspoll award for "best radio station", beating Radio 1. I've got be honest I'm a massive Gaudi fan. Check his stuff out its awesome!!! HJ: You present a weekly radio show called the Analogue Tea party on Nubreaks FM. How did this come about? AP: I've been doing radio for years. We hooked up with Jimmy Brayks (owner of NSB radio) in London in 2005 and he offered us a show. The rest I guess is history. Other shows have basically come off the back of this almost like a domino effect. HJ: You are a DJ and producer in your own right. What do you use? HJ: Do you have any recent projects that you would like to talk about? AP: I have a new business project where we hire our studio out to budding musicians / producers. We offer all kinds of services such as dj lessons / producer sessions / mixdown and mastering of tracks. Anything studio related we do it, and the rates are very affordable.....something other studio's tend to overdo. AP: Yes I would although I feel the cities in Wales still lack the diversity that London has to offer. But we are getting there. Lots of bass heavy music. We just want to re create a free party vibe with this, its not about money for us....just giving local artists an outlet for their music. 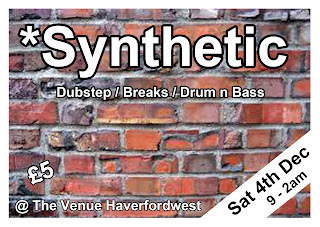 HJ: Your starting up a new night in the Venue, Haverfordwest called *Synthetic. What can we expect from this new night? AP: Lots of bass heavy music. We just want to re create a free party vibe with this, its not about money for us....just giving local artists an outlet for their music. AP: Well favourite venues in Wales...there's two. The Welsh Club (Clwb Ifor Bach) in Cardiff, and Monkey Bar in Swansea... In terms of what venues I look up to hmm, has to be the Custard Factory in Birmingham. Loads of rooms and massive capacity. I played the main room there once which is basically a swimming pool that is drained out to create a massive 2000 capacity dancefloor...mental! AP: Wierdest gig hmmm. The strangest gig has to be when I was on tour in China sat backstage at the gig with a load of Chinese dj's who couldnt speak a word of English. What made it stranger was the fact I'd only got off the plane from a 14 hour flight 30 mins previously, then thrown into this scenario.. very odd..but fun! HJ: What can you see happening in the near future in terms of events and your radio show? AP: Well events wise we plan to take it to another level. We want to do a lot bigger venue with multiple headliners. The *Synthetic nights are about giving people something thats sadly missing in this area at the moment and to raise awareness of our brand to lead up to the "BIG" event. Expect this sometime in the summer 2011!!!! AP: Glade festival. I was lucky enough back in 2006 to host the live NSB Radio broadcast from backstage of the breaksday arena. Amazing moment! AP: Id like to give a big shout to my studio partner John, my radio co host Associate and all the people who have come to see me play over the years. Another big shout to Matt "Tangled Parrot" and Colin @ White Noise Promotions. Jamie and Steve @ Dead Famous Records and of course NSB / Nubreaks. AP: Of course! I think sites like these are great for giving exposure to up and coming artists / producers.